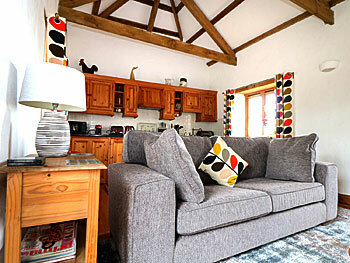 Bosorne Hayloft is a charming detached granite self catering property located on the owners small farm in the quiet and rural hamlet of Bosorne which sits on the edge of the stunning Cot Valley, National Trust protected with its green slopes leading to the beautiful historical Porth Nanven cove with its famous egg-shaped boulders, sandy beach and interesting rock pools, perfect for exploring. 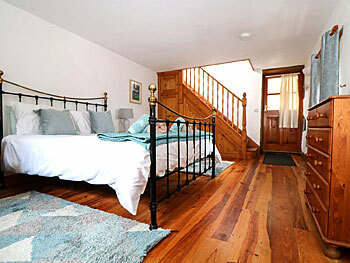 The Hayloft is reached via a winding lane which passes the small farm's sheep and llamas and is only half a mile from the small coastal town of St.Just, with its many welcoming shops, cafés and pubs within walking distance. It is an ideal base for walkers or those wanting to enjoy the fantastic sea views being a two minute walk from the coastal path which links to the near by Cape Cornwall headland or in the other direction walk to Sennen or Lands End enjoying the bird and coastal wildlife. 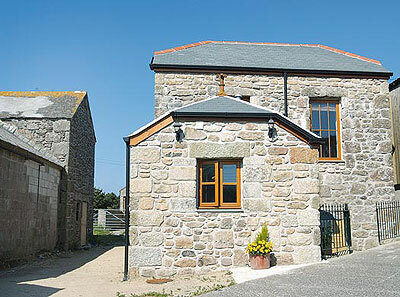 Bosorne Hayloft is an ideal place for you to explore West Penwith with its stunning beaches and coastal paths, Sennen Beach is only a short ten minute drive away and St.Ives is also within easy reach or just relax and enjoy the relaxed Cornish lifestyle from the pretty enclosed courtyard. 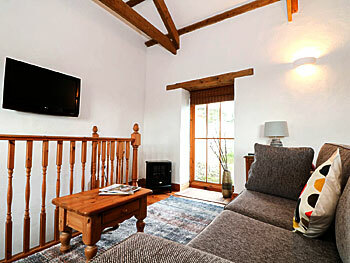 The living area has a comfortable sofa and a wall-mounted flat screen LCD TV/DVD player and a gas wood burning effect stove. The property is reverse level so guests can enjoy the distant sea views from the dining area. 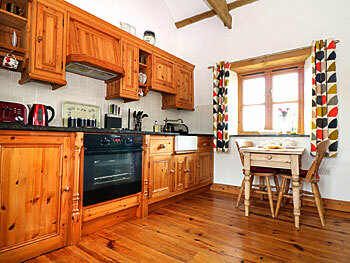 The kitchen is locally handcrafted pine kitchen with belfast sink and granite worktops. 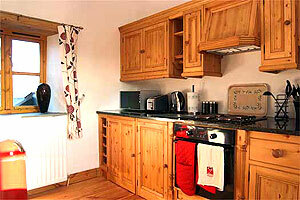 The kitchen is well equiped with a fridge with icebox, dishwasher, microwave, electric oven and hob. 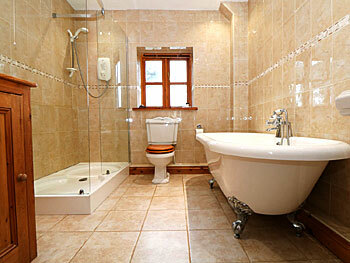 Luxurious spacious bathroom with roll top bath, large walk-in shower, w.c., hand basin and washer dryer housed in a bespoke pine cupboard. Spacious ground floor bedroom with king size bed and built in wardrobe. The sheltered enclosed courtyard is a perfect place to enjoy breakfast, relax with a glass of wine at the end of the day or just sit and watch the swallows.